School is almost out for the year in Central Florida; it is the time when parents across the region must start making summer vacation accommodations and arrangements for their children. For some families, this can be challenging, as summer break can really throw off their schedule. Making summer vacation arrangements can be even more complicated for divorced couples. If you and your former spouse are operating under a child time sharing agreement, that agreement may need to be updated to account for your children’s summer vacation plans this year. 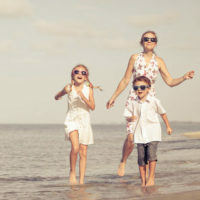 Here, our experienced Orlando child custody attorneys share some helpful tips regarding preparing your child time sharing schedule for your kid’s summer vacation. Proper planning is the foundation of an effective, low conflict child time sharing arrangement. As your child’s summer vacation has the potential to dramatically disrupt your overall schedule, it is imperative that you and your former spouse create a comprehensive plan to prepare for the changes that the summer will bring. While you certainly cannot predict every single aspect of the summer ahead of time, you can create a basic structure. It is a good practice to craft a detailed, but flexible time sharing schedule that extends through your child’s summer vacation. Beyond detailed planning, the other key to creating a productive child time sharing arrangement is positive communication. All separated parents can benefit from open, honest and effective communication. Not only does this mean strong communication at the outset of the summer, so that you can create a workable summer time sharing schedule, but it also means good ongoing communication, so that any issues can be quickly addressed and resolved. For example, if something comes up during the summer that will affect your child time sharing schedule, early notification to the other parent will help to ensure that things continue to operate smoothly. Finally, all parents should understand that not all child time sharing disputes can be resolved informally, solely between the two parents. In some cases, it is a good idea to get professionals involved. Of course, this does not mean that the situation has to turn into an intense dispute, leading to hurt feelings or damaged relationships; in fact, quite to the contrary. One of the best ways to solve child time sharing disagreements is to seek mediation. Child custody mediation is a collaborative, fully voluntary process that focuses on helping parents work together to find mutually beneficial solutions to their family’s issues. Our firm can help you seek mediation to address any child time sharing issues that you and your former spouse might have. At the Law Offices of Steve W. Marsee, P.A., our compassionate Orlando child custody lawyer has extensive experience handling child custody disputes and child time sharing issues. For immediate assistance with your case, please call us today at 407-521-7171 or reach out to us directly online. We represent individuals and families throughout Central Florida, including in Seminole County and Lake County.